Just because you never committed health care fraud doesn’t mean the federal government won’t charge you with a crime. On the contrary, health care fraud charges are rapidly increasing across the United States, and a great number of these cases involve doctors, pharmacists, nurses, or business owners who did nothing wrong — or whose greatest offense was a minor error only distantly related to someone else’s crime. A hasty investigation produces evidence that, when misconstrued, leads prosecutors to twist the facts in the hopes of adding one more successful count to their tally of convictions. In these cases, you might be charged with health care fraud under 18 USC §1347 because of an up-coding error or some other accidental mistake, and the government will argue you did it on purpose. The government might concede that you never actually committed fraud, but it can still charge you for attempting fraud, using the attempt provision in 18 USC §1347 or the attempted fraud felony law found in 18 USC §1349 (the statute we’re taking a closer look at in today’s article). The federal government can take the meager evidence it has against you and link it to their evidence on someone else, charging you as part of a conspiracy, also under 18 USC §1349. In a world where politicians vow to root out health care fraud, and where the government is losing enormous amounts of money through programs like Medicare and Medicaid, perhaps we should not be surprised that federal law enforcement is so desperate to file criminal charges. But lost in the federal agents’ eagerness is the fact that these doctors and care providers are real people with reputations and businesses that matter to them. A single criminal charge can ruin everything they’ve worked for. And a health care fraud conspiracy charge under 18 USC §1349 is especially pernicious because it gives the government so much leeway. Let’s look at what the statute says and how it works in an alleged case of conspiracy to commit health care fraud. Any person who attempts or conspires to commit any offense under this chapter shall be subject to the same penalties as those prescribed for the offense, the commission of which was the object of the attempt or conspiracy. In other words, attempting or conspiring to commit health care fraud can get you the same sentencing that successfully committing fraud would under Section §1347. For that matter, §1349 can also be used in conjunction with other crimes in Chapter 63, including mail fraud (§1341), wire fraud (§1343), and bank fraud (§1344), all of which routinely appear on health care-related criminal indictments. 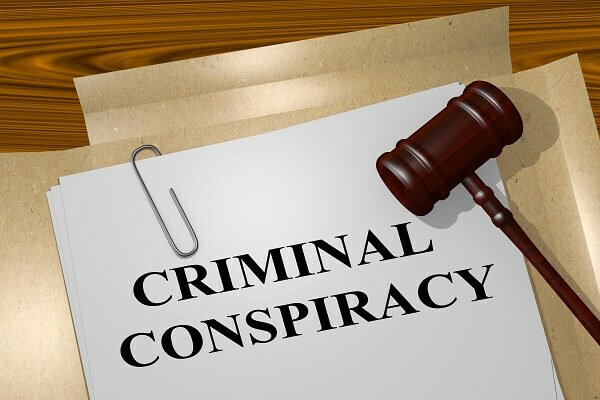 There is much to be said about attempt crimes, but in the sections that follow, we’re going to focus on the aspect of this statute that federal investigators are most fond of: conspiracy. How Does a Conspiracy to Commit Health Care Fraud Case Unfold? Plainly defined, a criminal conspiracy is simply an agreement between two or more people to commit a crime. Notably, it is the act of agreeing to the crime — and not the successful commission of the crime — that is the essence of a conspiracy conviction. 18 USC §1349 is only one of several federal conspiracy laws, and there are small differences in each. Generally speaking, though, the government uses the same investigative playbook for all conspiracy matters. Law enforcement officers pursue conspiracy charges “from the bottom up” (or “from the outside in”). In other words, they intentionally target people who played a very small role in the grand scheme of things, (e.g., a nurse or office assistant who simply submitted invoices that contained up-coding but never committed the actual up-coding themselves, for example). Investigators hope to use the horrifying threat of imprisonment to squeeze more information out of these “distant” defendants — or even to lead them into making incriminating statements that might not reflect the truth. From there, the government continues to catch as many people as possible in the conspiracy net. You may have noticed that the Depart of Justice has an affinity for “150 People Arrested”-type headlines. These press releases make big splashes, boost prosecutors’ careers, help to get politicians re-elected, and can even score more money for federal departments; so, the incentive to use 18 USC §1349 and other conspiracy tools is strong. An experienced federal conspiracy law defense attorney can mount a smart, aggressive, and strategic legal defense to all your health care fraud charges. The government will act just as aggressively, however, so the sooner you get a lawyer on your side, the better. Oberheiden, P.C. is a defense firm providing federal law services to its health care professional and business owner clients across the nation. Our former federal prosecutors have an excellent record of success, and we are proud to offer free and confidential consultations for white-collar professionals with legal concerns. Contact us online or call (888) 727-0472 today. This information has been prepared for informational purposes only and does not constitute legal advice. This information may constitute attorney advertising in some jurisdictions. Merely reading this information does not create an attorney-client relationship. Prior results do not guarantee similar outcomes in the future, every case is different. Oberheiden, P.C. is a Texas firm with its headquarters in Dallas. Mr. Oberheiden limits his practice to federal law. Health Care Conspiracy Law Defense Lawyers – Oberheiden, P.C.